Angela joined British American Tobacco (“BAT”) in September 2014. As group head of risk & insurance, her role includes the determination and delivery of BAT’s global insurance strategy, responsibility for the group’s ERM framework and leading the group’s treasury middle office. In addition to her role at BAT, Angela serves as a trustee for a charity dedicated to the improvement of primary science teaching in the UK. 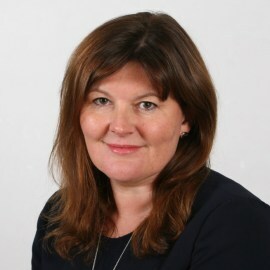 Prior to joining BAT Angela was director of group insurance at AstraZeneca and has also held roles at Aon (both in London and Bermuda) and at KPMG.